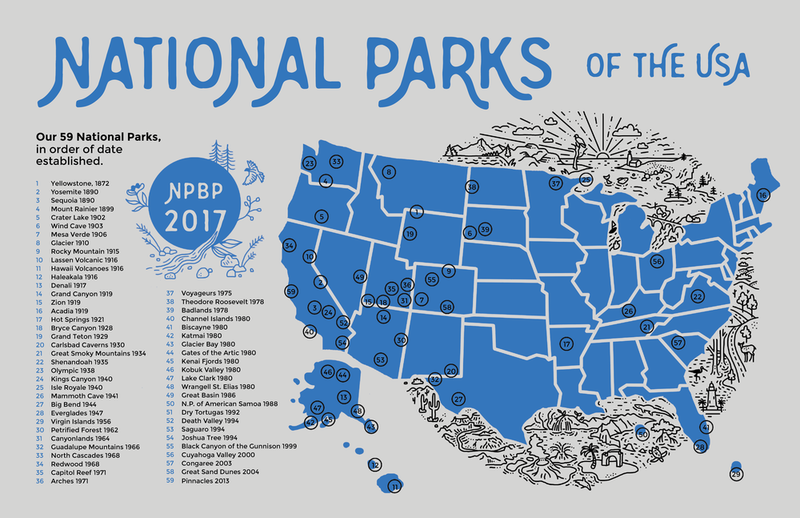 The National Park Bandana Project is a series in which I illustrated and screen printed bandanas to represent the 3 most popular U.S. National Parks: Great Smoky Mountains, Grand Canyon, and Yosemite. I printed 50 of each design as well as designed a small zine in conjunction with the series. The zine provides more information on the parks and explains some of the specific imagery in the illustrated bandanas. I would like to thank the following individuals for their support: Sarah Bartley; Kelli Moore; Rebecca and Thomas Smith; Cassidy, Chloe, Tanner, Valerie and Scott R. Miller; Emma Sullivan; Debbie, Mark and Joshua Butler; Lauren Grenier White; J.D. Lowry; Kartheesan Ragavan; Mark Jeffries; Jonathan Goldberg; Eric Ngo; Desiree Choe; Halli Miller; Natalie Klein; Morgan Hooper; Aarica Kelly; Jake, Paul, Bobbi, Aaron and Jersey Lahah; Debbie Twigg; Elna T. Diez; Anna Boutchard; Sarah King; Maggie Vandeveer; John Meldorf; Emily Satterwhite; and Jupiter Schultz.